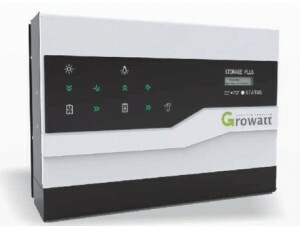 Introducing the Growatt SP2000 Storage System. This system can be installed from new or easily retrofitted to existing solar photovoltaic systems to divert electricity that would be exported to the grid and store it in batteries. It will work alongside almost any single phase grid-connected inverter. The system comes with a 5000Wh lithium-ion battery, which is sufficient for most users. More batteries can be added if desired. The system has a maximum efficiency of 98.6%. Download the datasheet from this link.